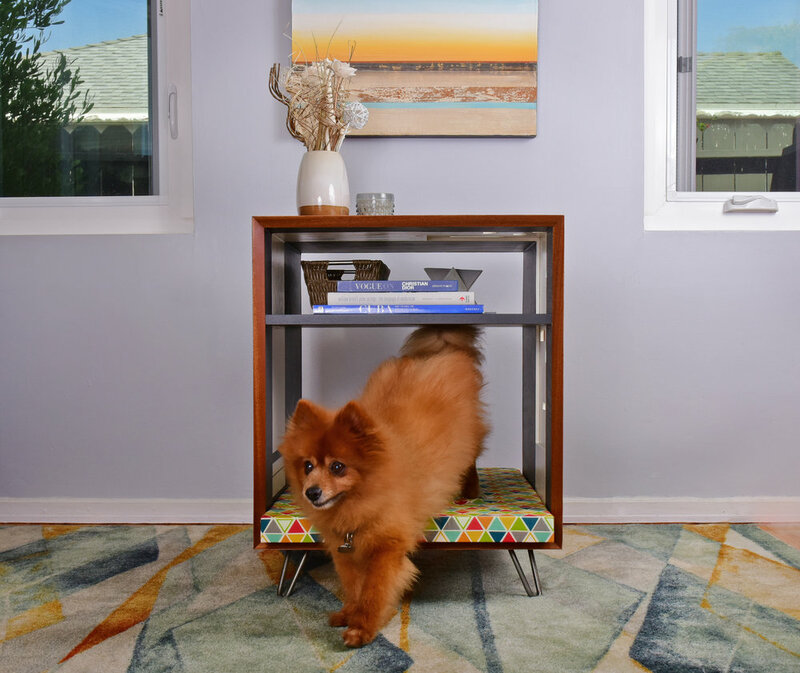 This mid century modern "four legged" furniture piece is designed to integrate convenience with comfort. 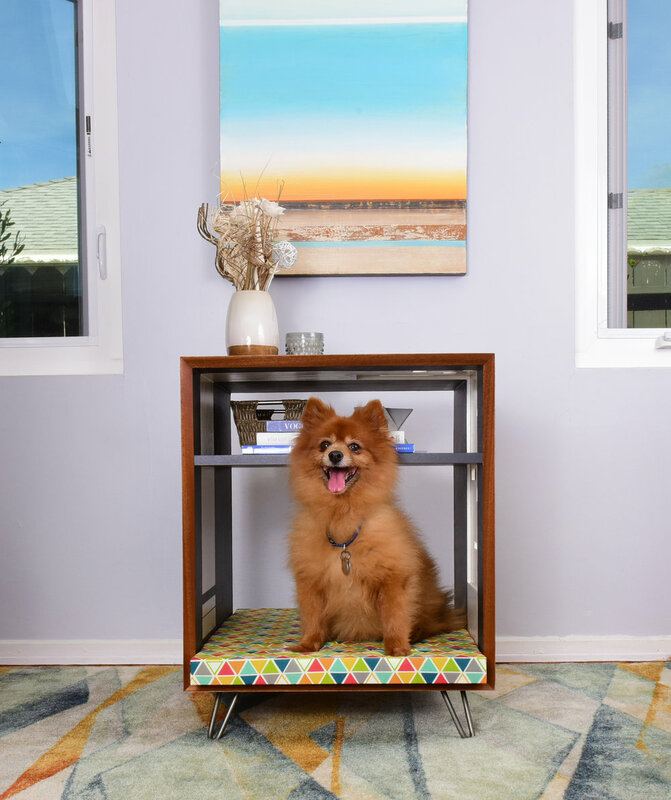 With clean simple lines and vintage patterns it blends an end table with the comforts of a dog bed. The typical household pet is more than just a pet, they are a part of our daily lives, they are family. Why not give them their own home under the same roof. It has a flat surface on top for a lamp or other decorative elements such as picture frames or magazines. There is also a storage area where other non-decorative items or books could be stored right below. 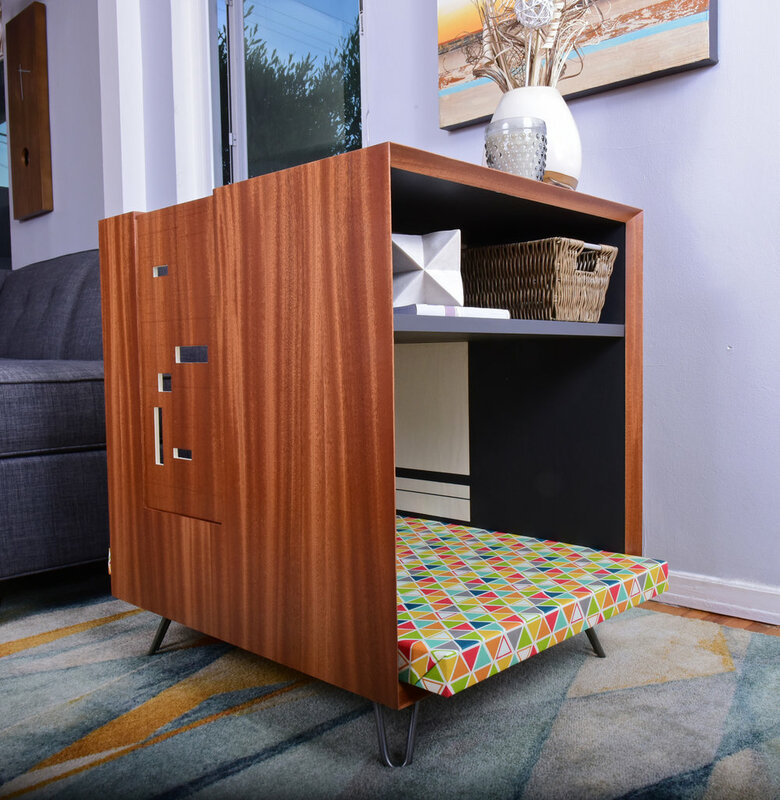 FidoMod is made of a solid core with real wood veneer. Available in four different wood finishes. Shown in Sapele Mahogany with a semi-gloss finish.